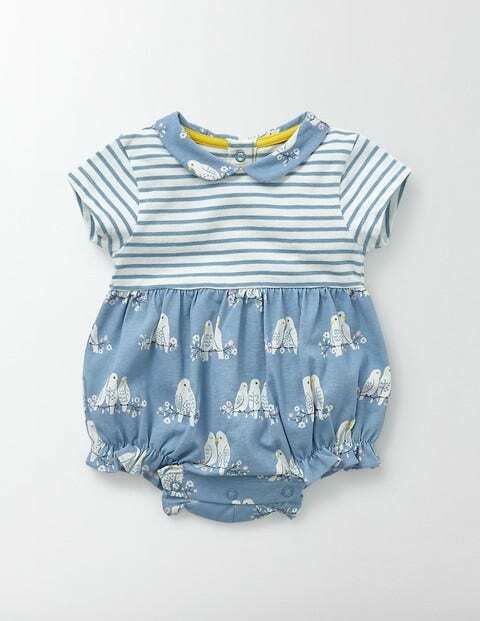 We've given this sweet romper a hotchpotch of stripes and prints, as well as a pretty Peter Pan collar. Its roomy shape leaves plenty of room for a nappy, with poppers to make quick changes a breeze. Most important of all, supersoft cotton keeps your baby feeling perfectly cosy.